Spoked wheels give a great authentic look. 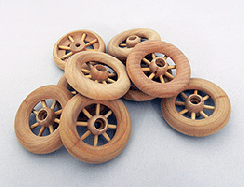 Smooth, premium quality hardwood spoked wooden toy wheels for wood toy cars, trucks, and wagon model replicas. 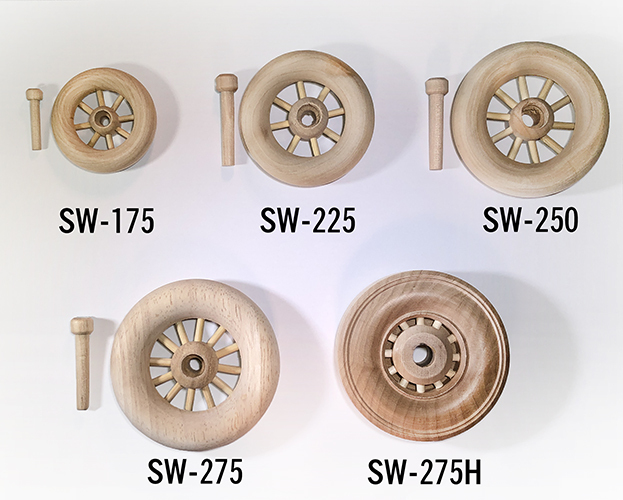 Rather than making wheels yourself, try our smooth, premium quality hardwood spoked wooden toy wheels for wood toy cars, trucks, and wagon model replicas. 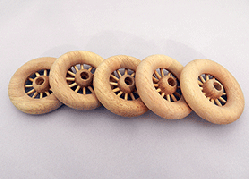 Free Axle Pegs with purchase of each spoked wheel. 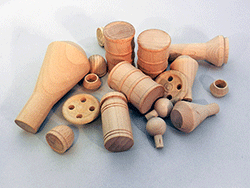 We stock everything you need to complete your project including axle pegs, dowels, smokestacks, little wood people, cargo, steering wheels and much more. 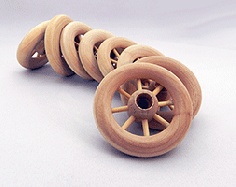 Scroll below for a selection of spoked wooden wheels. 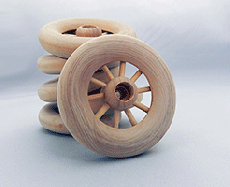 Looking for woodworking plans that use spoked wheels? 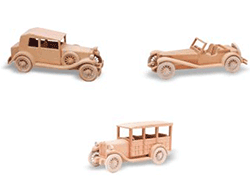 Try our selection of Toys And Joys plans for trucks, cars, wagons and more.